Judy's Doll Shop | Mushmellows "Panda Bear"
We are pleased to share "panda" from the Mushmellows series from Gund. This is a super soft black with white tipped fur panda bear with a soft black nose, black eyes, and a white belly and head, with black with white tipped spots over each eye. 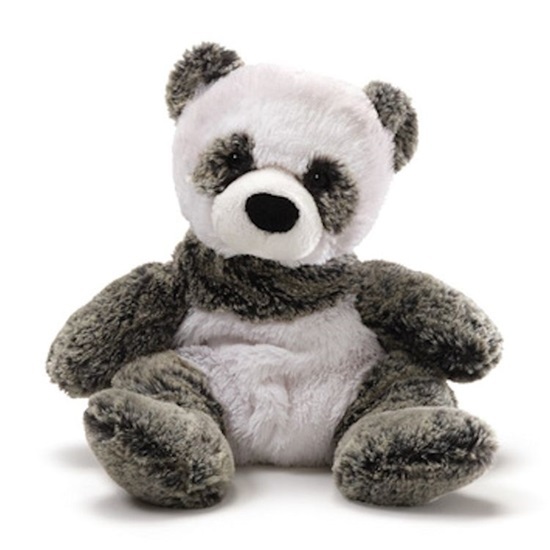 This panda bear is understuffed for extra huggability, and is good for ages 1 and up. He has beans in his stomach and bottom to help him sit up unassisted. Mushmellows is a new series from GUND that is super soft, huggable, and cute! This panda bear is 11 1/2 inches tall and is surface washable.